Well, what a mixed old bag of weather! 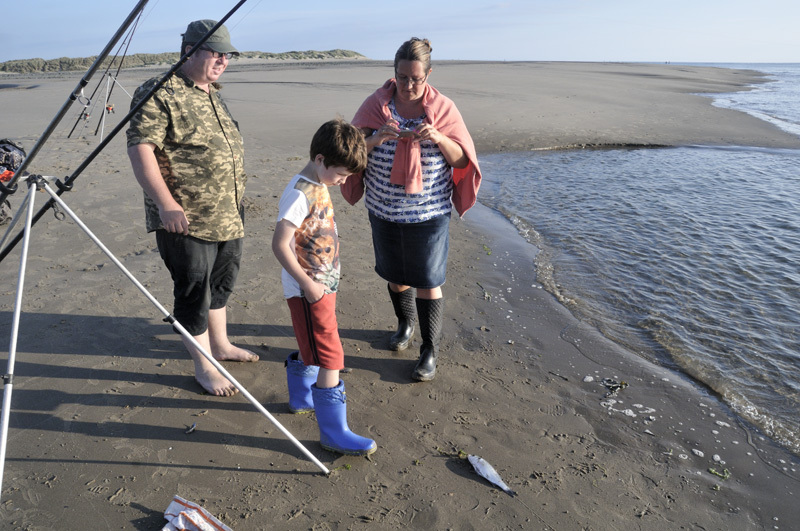 I had never anticipated the guiding to become the day-job and so when I was offered six weeks worth of full-time work at Ynyslas visitor-centre, starting mid-August, I jumped at the opportunity - knowing too that I was close to a key fishing venue so could fit any trips into the evenings. One such session was on the 18th, when a party from near Hay on Wye insisted on fishing despite the deteriorating weather. We persevered until nightfall in drizzle and rain with the wind increasing to a force 6 and the surf becoming ever-wider as a consequence. There's a certain masochistic enjoyability in such conditions, and we did catch - a ray, a schoolie if I can remember correctly - but conditions were really against us. 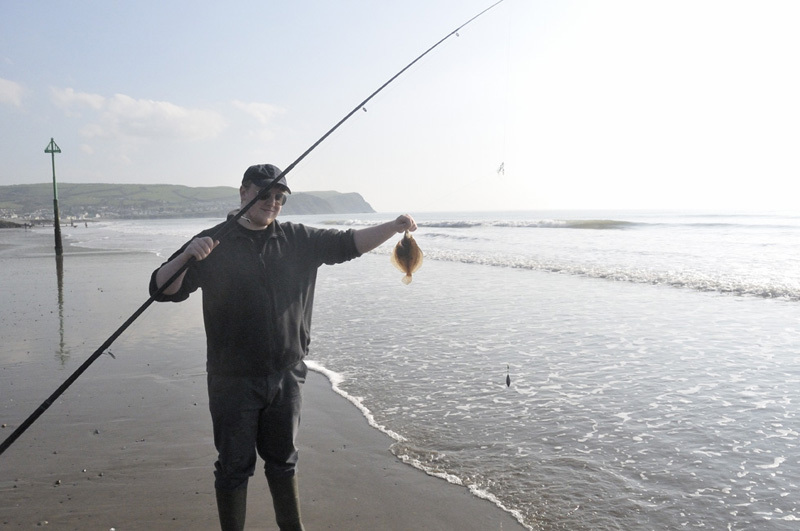 The fish was soon streaking off back into the surf, before the other lad's rod lurched over. A bit more of a scrap this time and in due course a nice medium-sized ray was on the beach. Dad was in next and another schoolie - three fish on the first casts! A great start - another schoolie or two were caught and a better bass threw the hook in the surf, then on the new flood sport died off.. But a hectic little session nevertheless - not bad for 2 hours! Rough weather at this time of year often means only one thing - weed! The seaweeds have had a good growing year with all that warm sunshine and calm seas in June-July and it only takes one good blow to liberate it into the water - this telephoto shot of Ynyslas beach carpeted in bundles of eel-grass was taken in early September on a patrol (we have to do a site-check of the sand-dunes and beach every day). 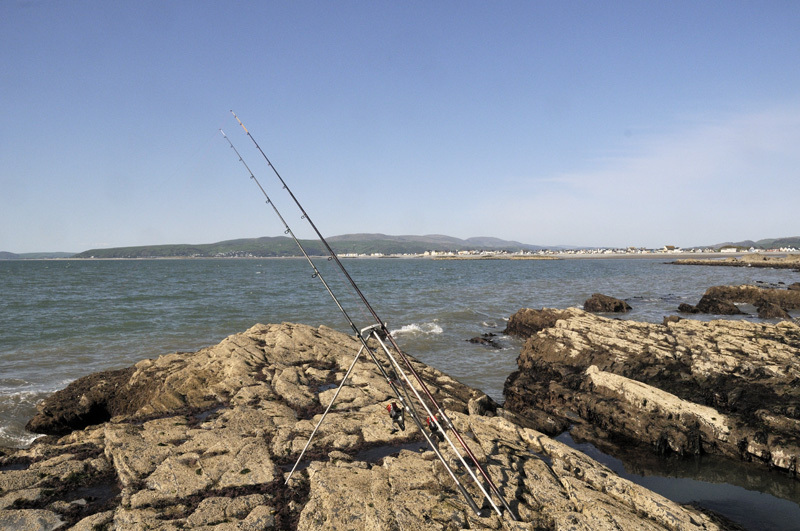 I did not have time to walk over to see how these distant anglers were getting on, but it must have been tough-going! 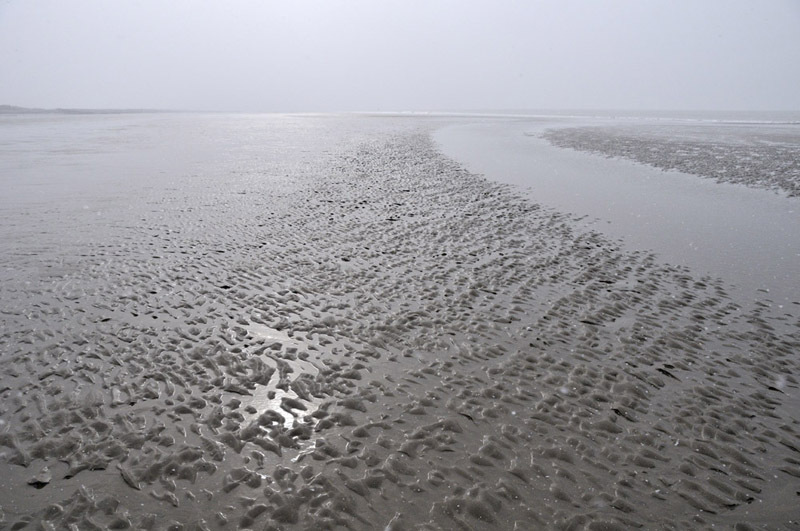 On these big tides, a lot of beach uncovers over low water and ordnance dating back to WW2, when the area was a rocket-range, is sometimes reported. Thus it was on September 11th, when a couple came into the Visitor Centre and showed me photos of a suspicious object down by the low water mark. 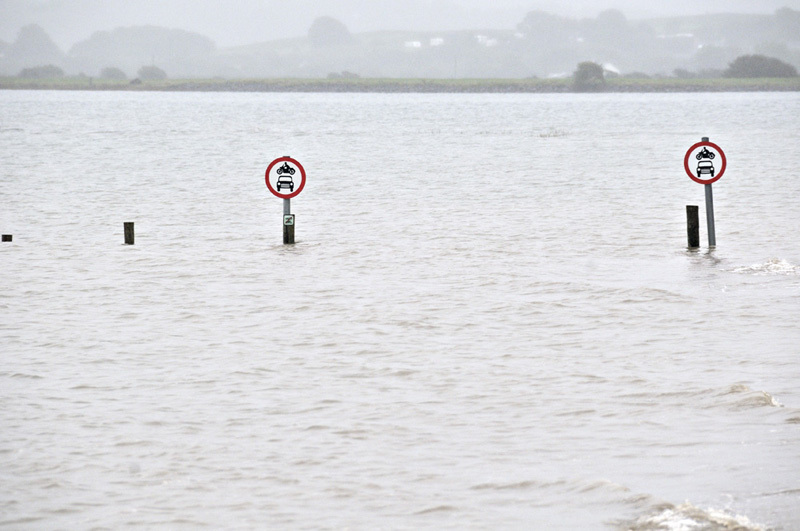 With the new flood coming in, the object would soon be covered again, but I dialed 999 and got hold of the Coastguard, who came down and marked the spot. 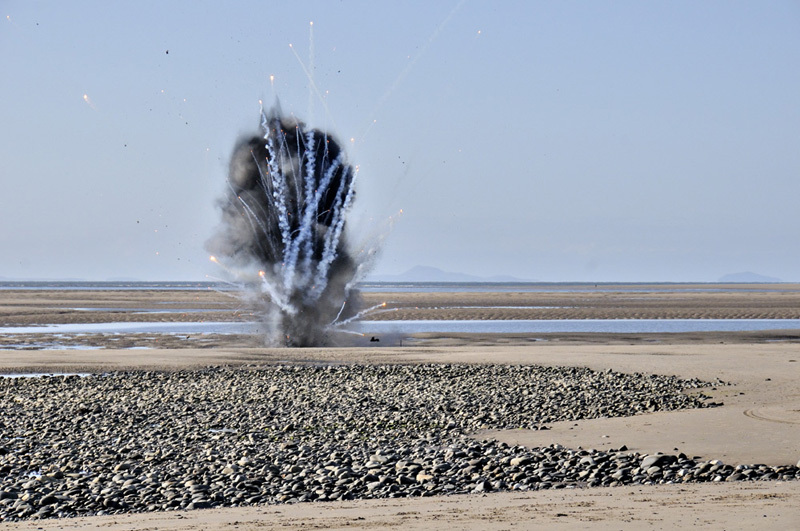 The following late afternoon, Navy bomb-disposal specialists accompanied the Coastguard back to the area and the item was destroyed in a controlled explosion. They used the opportunity to also dispose of a batch of out-of-date flares: the result was quite impressive! 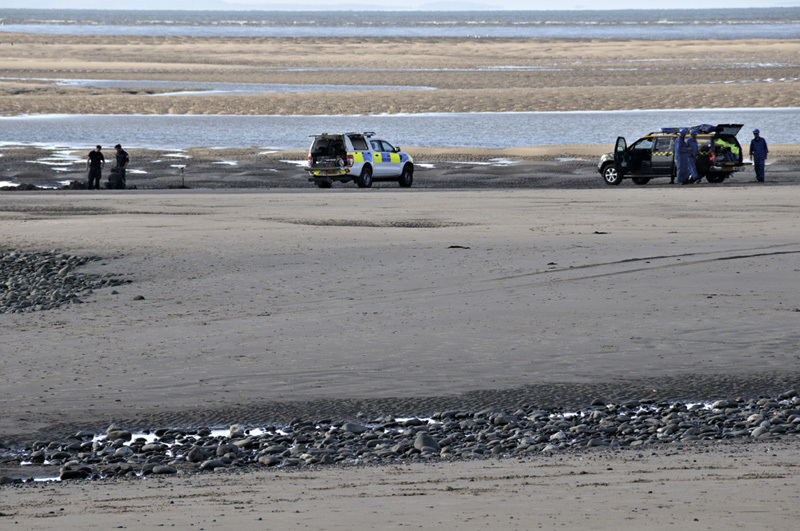 If fishing Ynyslas and you come across any suspicious-looking metal items, simply call 999, ask for the Coastguard and they will attend and assess. Most of the stuff is long since dead, but the precautionary principle is best applied. They have the experience to judge if an item needs further attention. 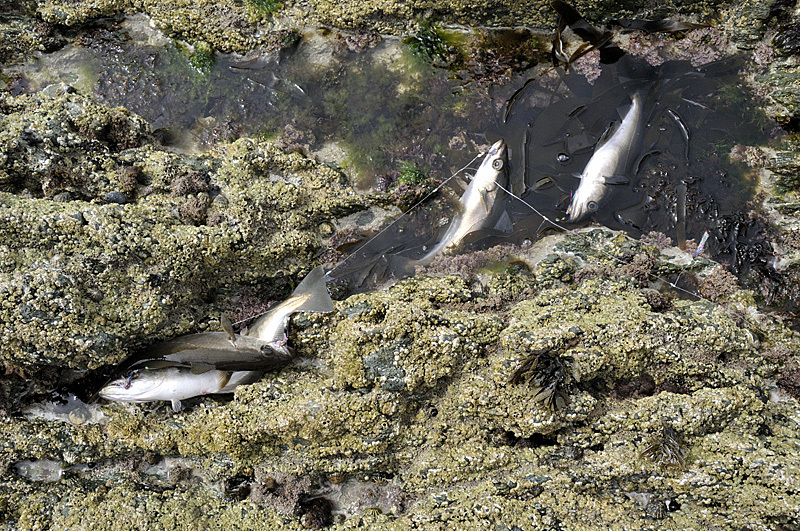 Been a while since I reported back, during which a prolonged heatwave caused the fishing to slow up but mid-July onwards saw a marked improvement - before some rough weather liberated lots of seaweed into the water! 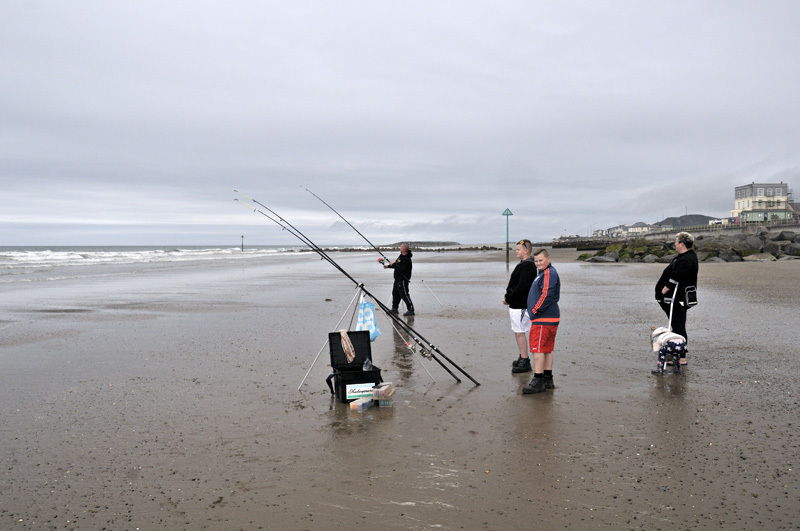 July 5th I travelled up to Pwllheli to fish the beach from 7pm-11pm, with Ian Herbert-Jones and his father. I know the place can blow hot and cold but on this occasion it was stone cold dead! 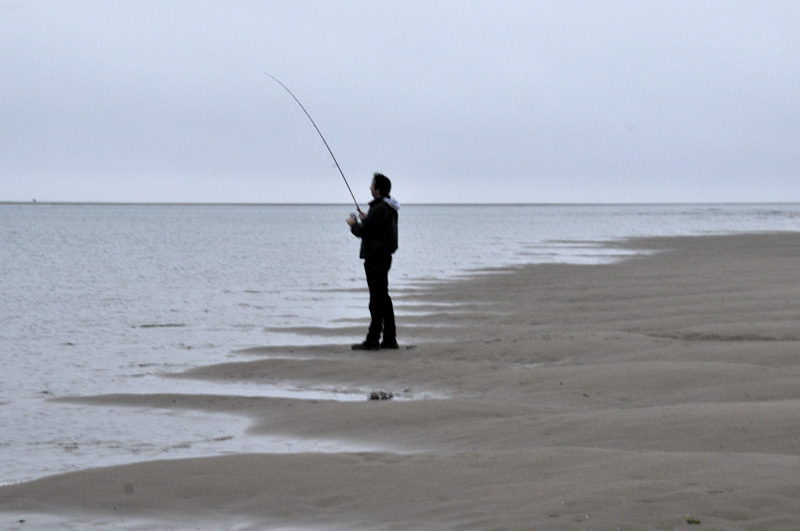 A number of anglers were strung out along the beach but as the evening went on, all rod-tips stayed actionless. But the customers certainly learned the techniques that (normally) work at this venue, even though it was a thoughtful drive back home in the dead of night, pondering over the reason that everybody failed. Shore fishing newcomer Ben Hughes was next in the book, for July 14th. 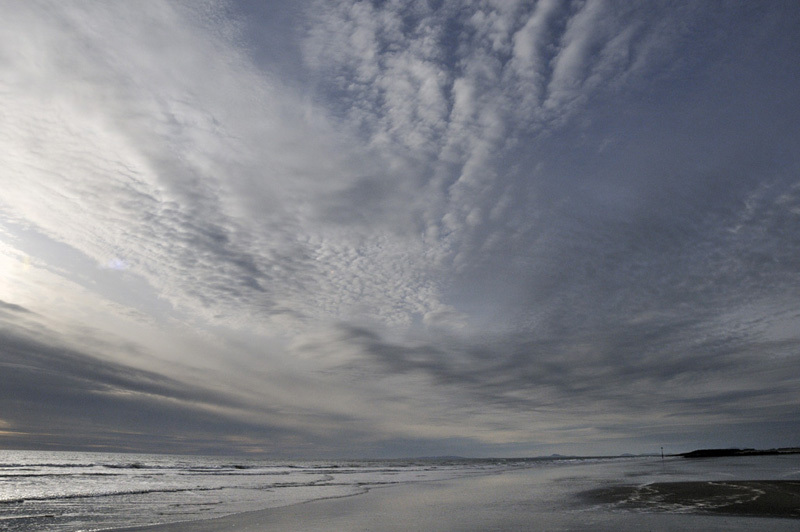 I chose Borth as the venue and was encouraged that a bit of onshore wind was forecast, meaning for the first time in ages that there would be surf. 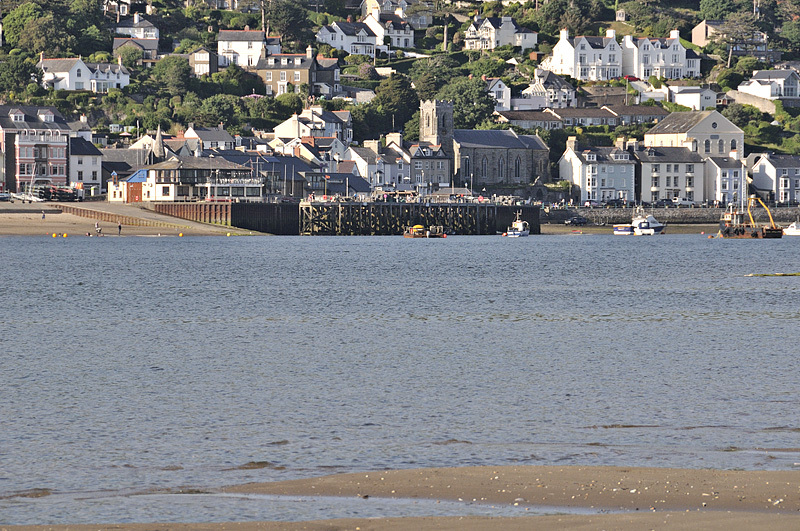 We walked a fair distance north towards Aberdyfi, to get away from the crowds, although I expected they would thin out as the evening wore on and that they did, mostly. And that set the scene for the evening - one school-bass after another. 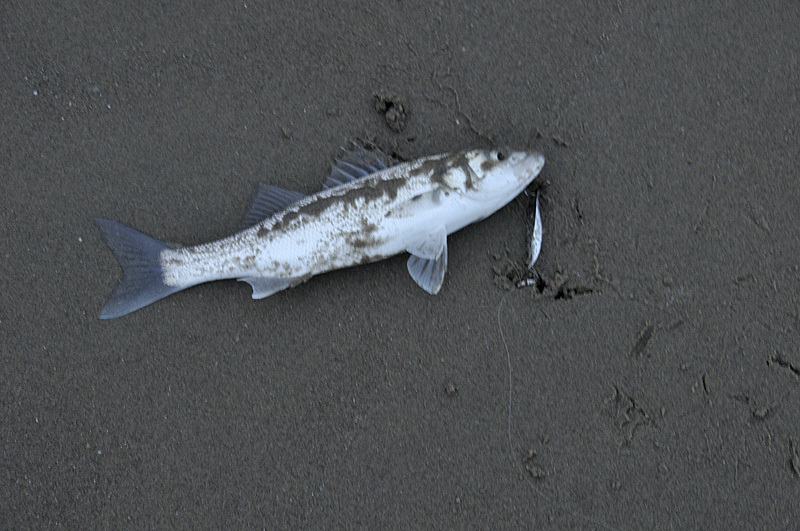 There was either nothing else around or the schoolies were simply outcompeting other species for the bait. I lost count of the number landed and, of course, returned. I turned it over with the tip of my boot before taking the above photo. And people wonder how wildfires start? Luckily I had a 2-litre water-bottle with me so used it to bring seawater. The first 2 litres of water poured onto the sand and stones simply billowed off as steam and a few refills had to be got to dampen down the area properly. 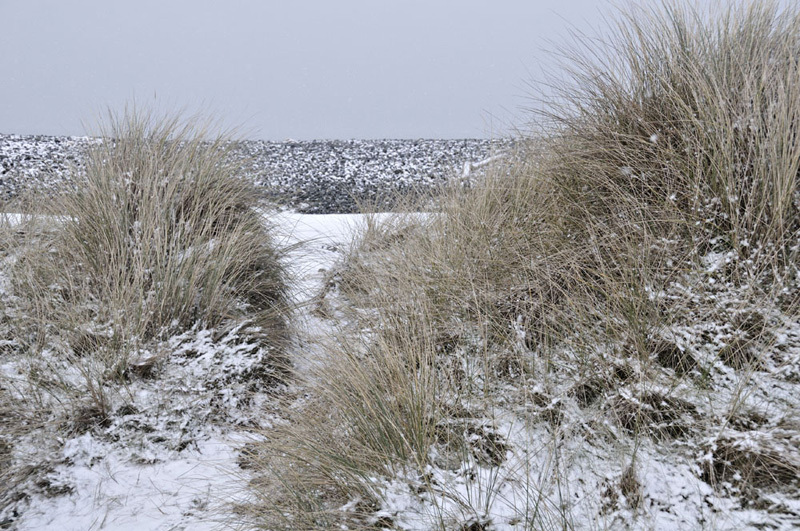 The Dunes are a National Nature Reserve! That aside, it was good to see all those bass and the following Saturday I organised Sam and his mate Brendan into being fishing machines while Jo, Sam's mother, enjoyed the sunshine and a book! These two 12-year old lads worked their way through a quarter of ragworm in two hours, landed nine bass to around a pound and missed several bites. School-bass are a very obliging beginner's fish as they do not require long casts and they keep people alert - you have to pay attention to their fast rattly bites. On the 26th and 27th I was with Paul Thompson, showing him around the area. We began on the evening of the 26th at Tonfanau, but cut the session short as the venue was plagued by rafts of floating weed. The stuff was an absolute pain and although we moved until we found a spot that was fishable for a while, only a single schoolie came to the beach. The sunset was about the only good bit of the trip! A father-and-son team then arrived, the father fishing on the seaward side and the lad dropping a prawn pot down the other. I stayed on for half an hour, to see what the pot might contain when hauled back up. Dozens of shore crabs (unsurprisingly) but also a lot of shannies - fish that had refused the ragworm offered a while back! Shannies normally fight over rag baits here. Weird stuff. 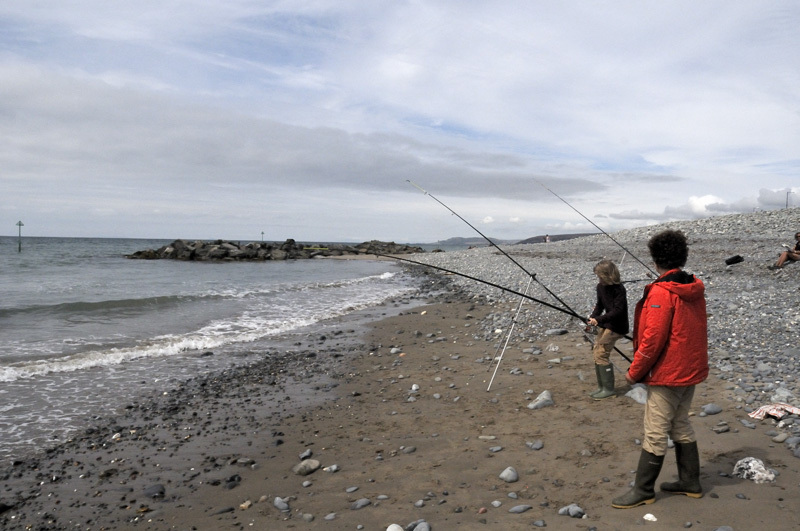 The evening of August 4th saw me back at Borth, with Charles, who was interested in catching a ray or a turbot. 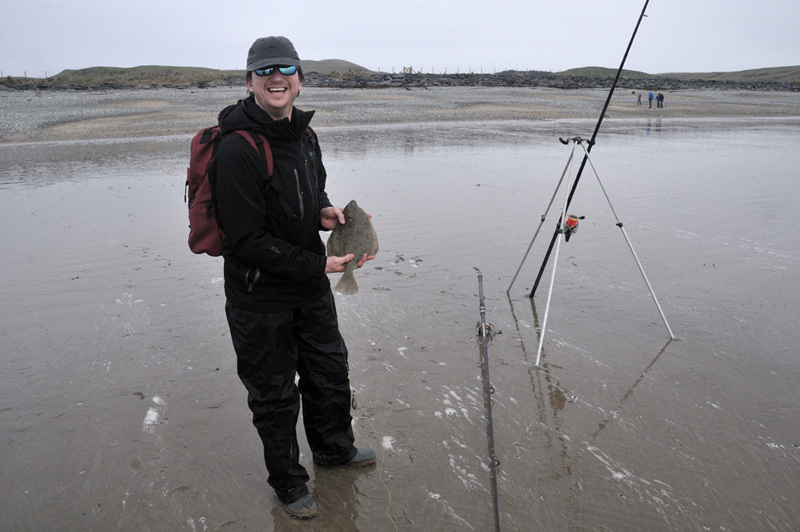 He managed both - unfortunalely the turbot was just 2cm undersized! The ray was caught at nightfall and was only a couple of pounds or so, but good to see a bit of variety at last. 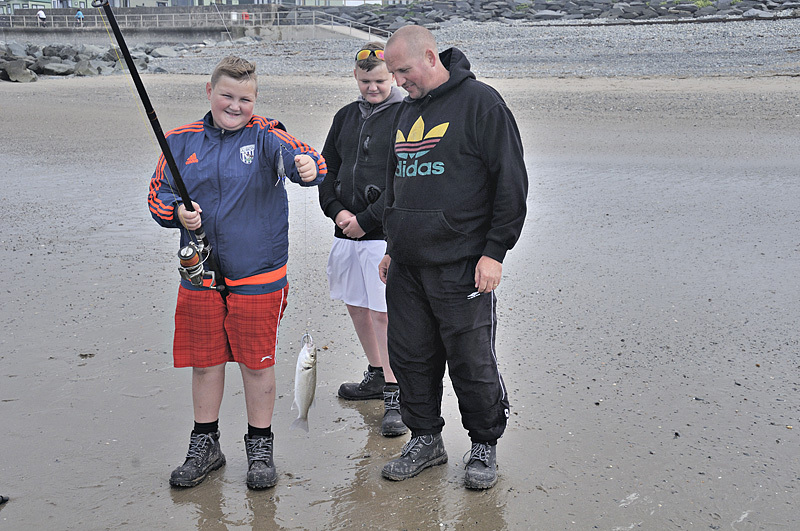 August 7th saw another short 2-hour family "taster" session at Tywyn. 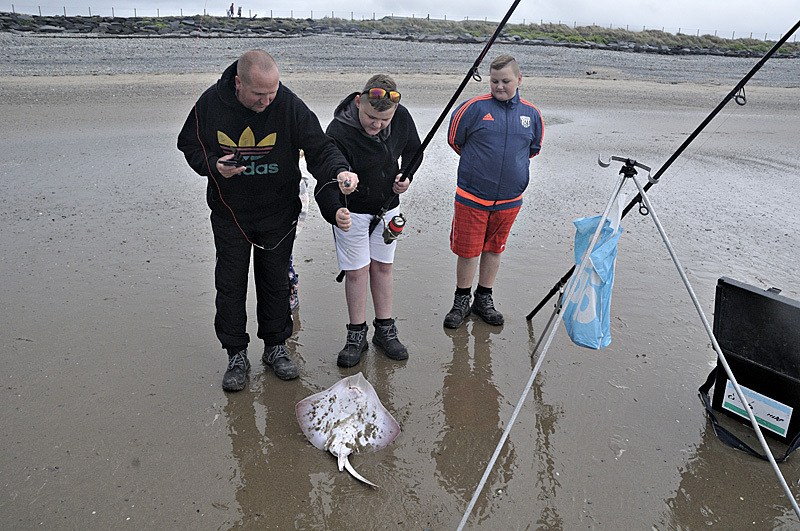 After the success with Jo and Sam and Brendan at Borth, I had decided to offer this package as part of the trip portfolio(see trips page) - the shortness is ideal for kids, who naturally have shorter attention spans than seasoned anglers. With the walk there and back and setting up/tackling down it probably amounts to about 1.5 hours of actual fishing time, during which I do all baiting and casting if required, so it is a leisurely activity at an affordable price. At range the weed was still present but there was some fishable surf closer-in and James Bailey and family had an interesting time, landing a few school-bass, with a flounder to my rod, and learning the ways of the sea. The focus in the coming weeks will be Borth, since I will soon have daytime work helping to manage Ynyslas Dunes National Nature Reserve, for a few weeks: this job will involve working at weekends but the evenings will be free for fishing trips and it is coming towards the main turbot and ray time of year. 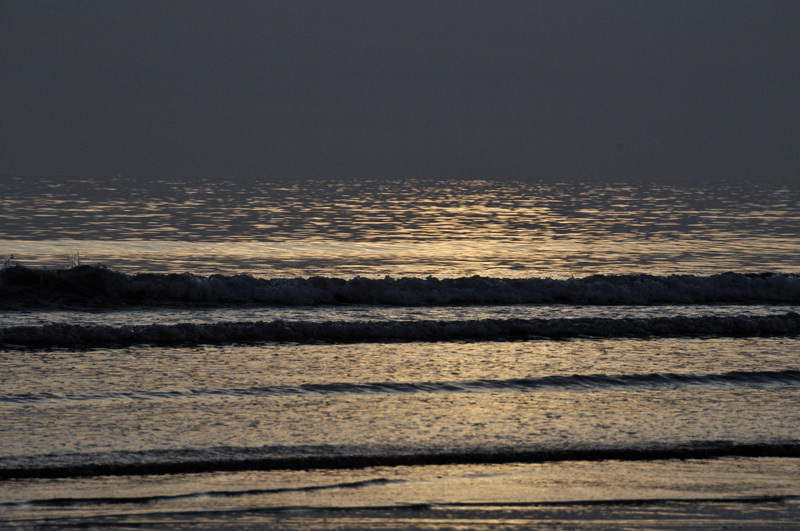 Best evening low tides for these will be August 17-19, 30-31, September 1-4, 14-18 and 29-30. I have also done well on both on ebbing tides for which August 20-21, September 5-6 and 18-19 look good, although weather/sea conditions are critical. I'm also hoping that conditions settle a bit so that the mackerel may finally show - shore catches have been infrequent, to put it mildly, so far. Been a while since the last update - have been busy with my geological research but had a bunch of trips booked at the back-end of Whitsun week, so thought it was high time for a round-up. More unusually, I put a bait out to maximum range and caught this long-spined sea-scorpion! 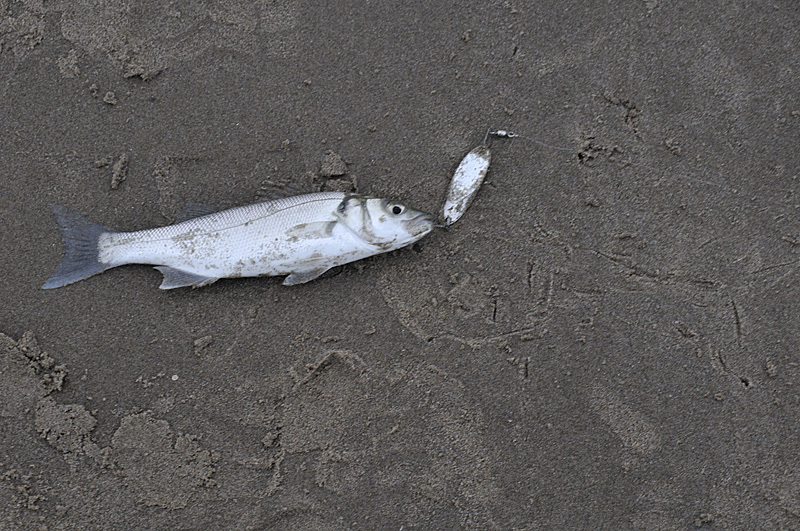 I do not recall ever catching one of these from Borth sands before - one normally regards them as fish that frequent stony, weedy grounds. 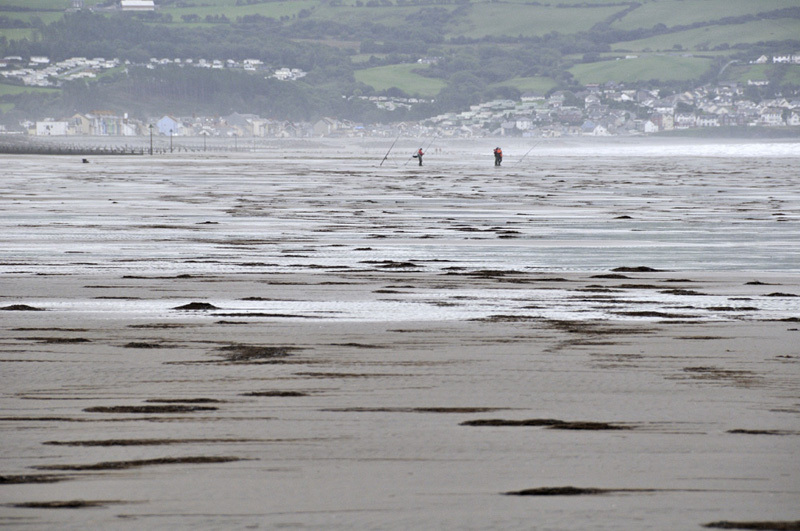 Perhaps there are isolated patches of rougher ground out there, 150m beyond the low water mark on a 4.5m tide. With the research field-geological mapping rapidly becoming compromised by the surging vegetation, I spent a lot of time in late April-early May trudging about to try and get everything completed. This is always a quiet time of year for bookings, so I made the most of the downtime to get such things done - and also to prepare for the coming season. At times during this period, there were good surf conditions and others reported some decent small-eyed ray catches. ...and dogs. No sign of any greater weevers or gurnards. Nice afternoon out, though, after this long winter! Next I tried the beach again. Little in the way of surf, just dabs at long range but the weather-gods provided an awesome bit of light as the sun was setting. I had a try to see if the mackerel had arrived - they are incredibly late this year. No joy, but one almighty take had me pumping the rod at times - it felt quite interesting until the fish broke surface and turned out to be four fat little pollack in the 25-40cm range! 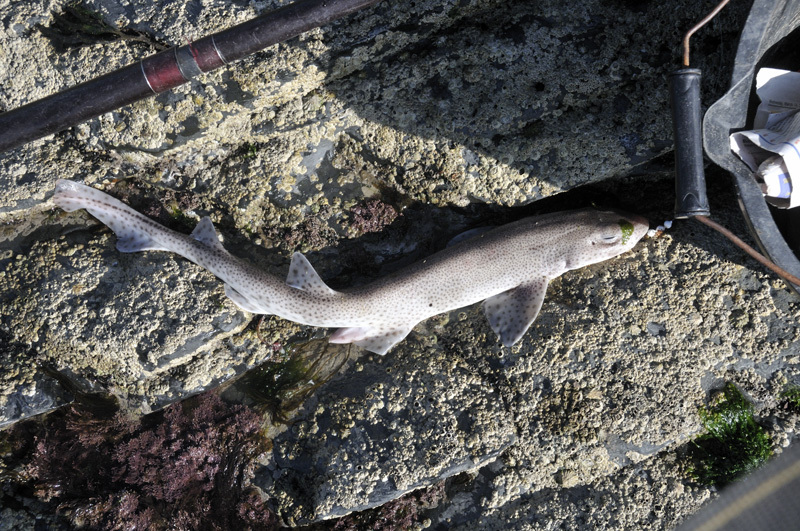 Trying various baits, all that could be tempted were dogfish. I often follow the reports of local club-matches up there and whenever they fish this mark, dogs make up at least 75% of most catches. But pollack and dogs are better than nothing! June arrived with a heavy and noisy morning thunderstorm. 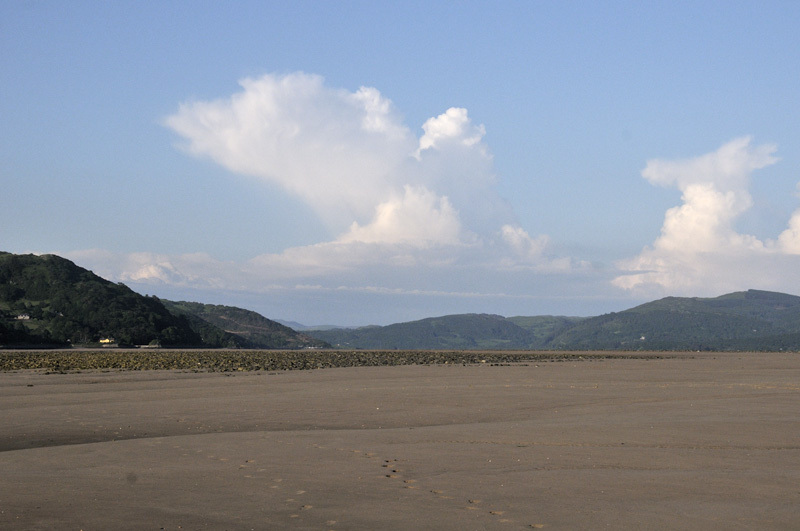 Lightning repeatedly flickered over the Dyfi Estuary and the surrounding hills. I worried about what effect this might have on the fishing, since Jim Pike and his lad had booked an evening session. 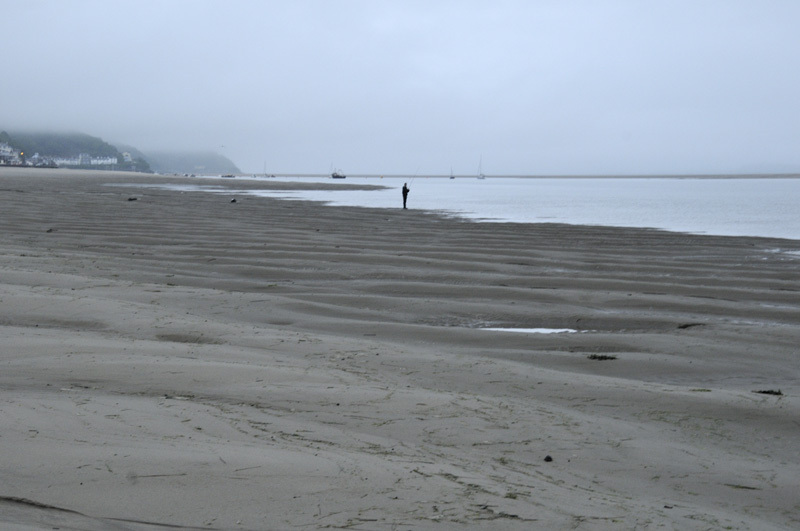 With the beaches devoid of surf I decided the Estuary was the only alternative and we met up there to be greeted by dense sea-fog that had us putting our coats on - it was quite chilly for the time of year. We fished down to low with lures and tried legered soft crab on the flood. And guess who outfished the two of us? Only a school-bass but still a nice handful for a youngster on such light gear. Nothing was interested in the crab - unusually - and I was really starting to think the lightning, a few hours previously, might have spooked a lot of the fish. Then another on a small Dexter wedge. 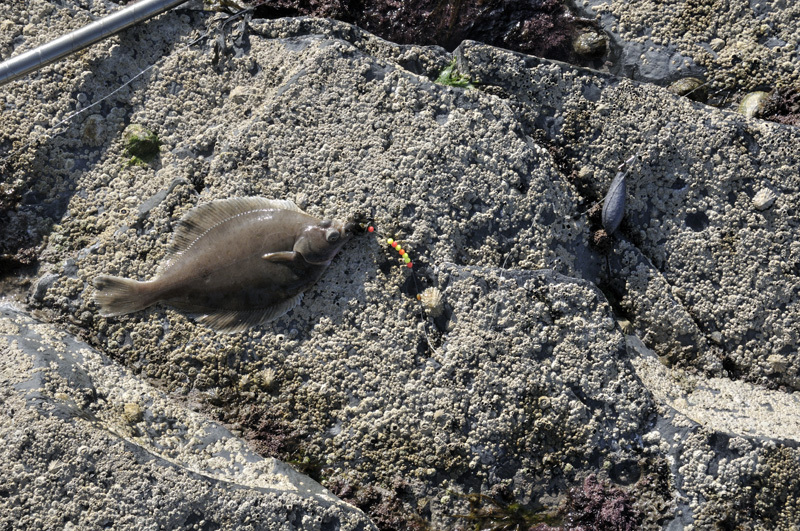 Such lures work well here as they cast a long way and there is a vast expanse of water to explore, even at low tide. The flood-tide, by contrast, was quiet. 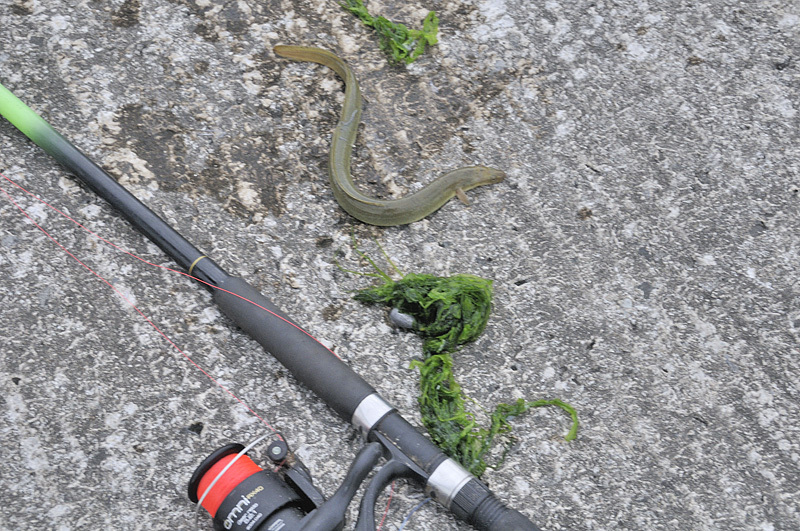 I had a nice garfish jump clean out of the water when my lure landed right next to it and we had a few follows but no hook-ups. 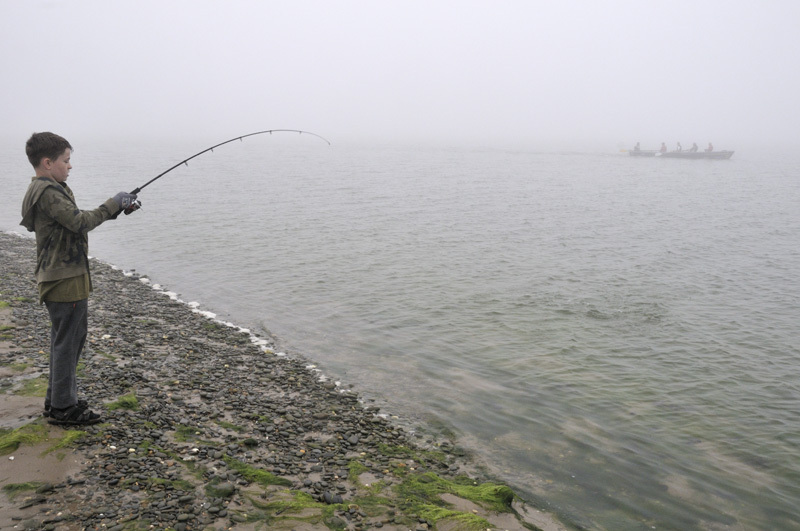 Visibility at present is as clear as it ever gets, perhaps giving the fish that extra time to study their quarry and conclude it is not in fact a baitfish! Some bigger bass have been showing to the boats, but judging from the reports I have read, the fishing is not yet consistent. Thunderheads inland did nothing to dampen our enthusiasm on this occasion! Legered soft crab this time had the schoolies feeding, so for the second time in 24 hours a young lad had his first bass - and his first sea-caught fish. Ten minutes later he hooked and landed a second one! 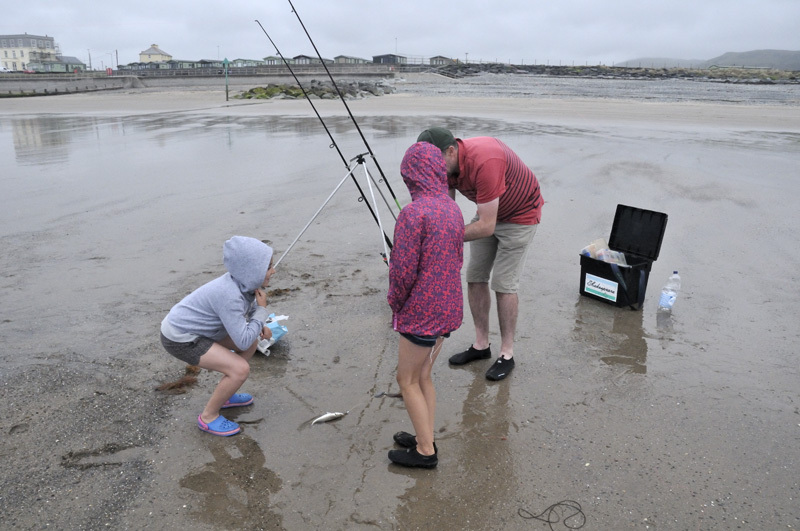 The sharply aggressive bites also meant a few missed takes, but he was well happy with his catch and I fully expect the Joneses to become active sea-anglers from now on, judging by the enthusiasm shown. So a nice start to the main season. I hear rumours of a few mackerel starting to show to the boats, too, so the long, drawn-out cold spring has finally, it seems, come to an end. 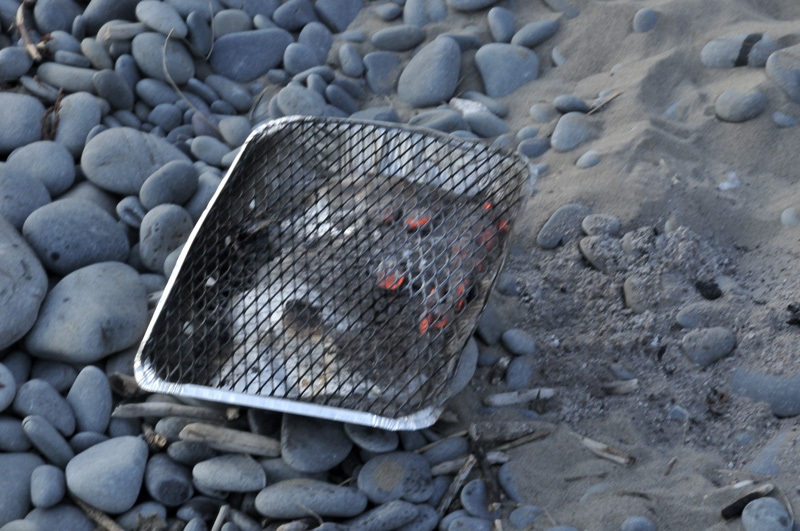 The sea-temperature at Aberystwyth is currently a healthy 12.2C - that's more like it. Forecast models suggest settled conditions to continue with just a few interruptions from thunderstorms on certain days, so I think I might explore a few rough ground areas as time and weather permit. The surf will be back at some point, which I'm looking forward to, as I have an experimental rig I want to test. More about that later. In the meantime, I'll be out in earnest, whether booked or not, the week after next. 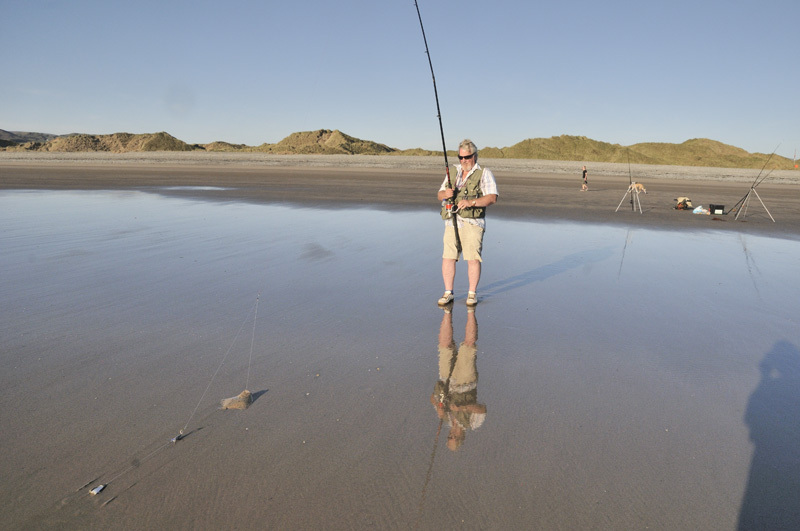 Bigger tides and the long-awaited reappearance of onshore winds should combine to change the beach-fishing markedly for the better! I will let you all know how it goes. I've just looked at the Aberystwyth sea surface temperature and at 8.3C it's still low, but last Thursday it was only 7.8C! That's a value more typical for early March. 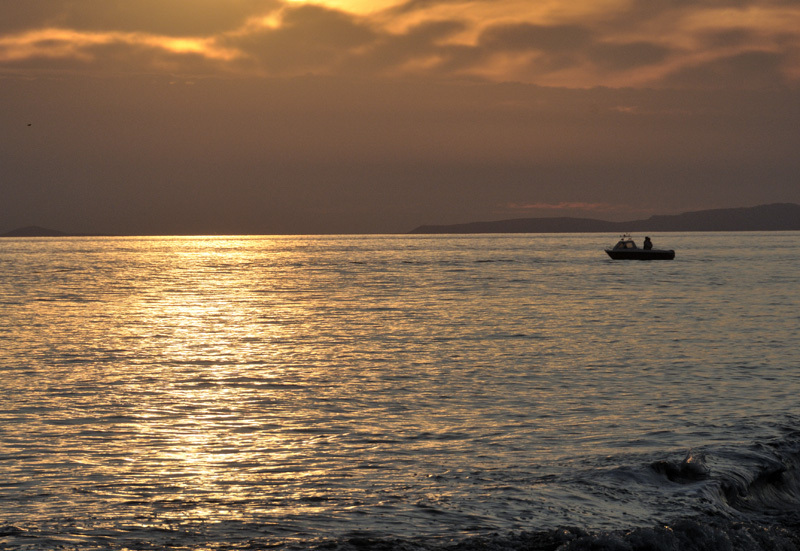 With the prospect of warmer weather in the coming weeks, Cardigan Bay should finally catch up. This spring has been remarkably cold with a trough of Polar origin air almost stuck over the UK for week upon week. We have been the best part of four weeks behind normal. 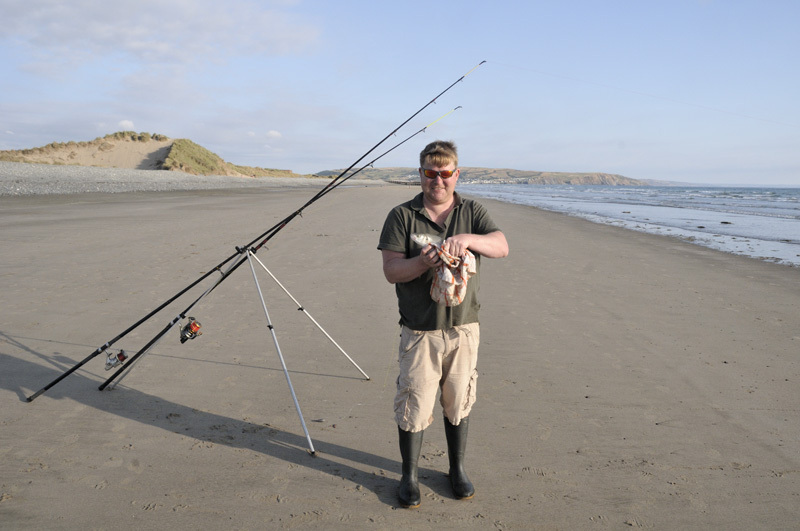 All of which I explained to young couple Luke and Amber on April 5th on a gloriously sunny Tywyn Prom when I gave them a beginners' fishing lesson. 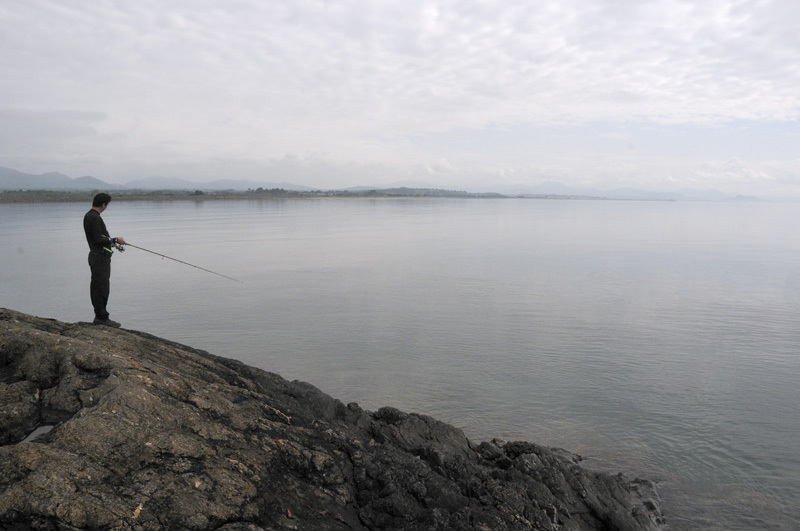 Locals had hardly caught anything of late and I knew we would be scratching about for any fish. We spent an hour going through all the various bits of tackle and different rigs, another hour getting their casting into shape and then met for a late afternoon fish down to low water. I was dead chuffed to see these two fish following so many reports of blanks! Normally they would be fairly typical for a late March session but not this year. 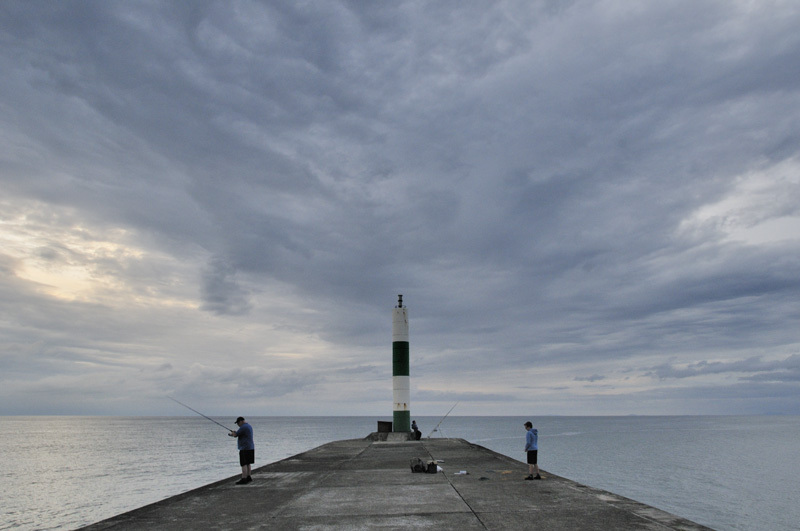 All part of the fun - as a weather-photographer I can indulge two passions at once when fishing! 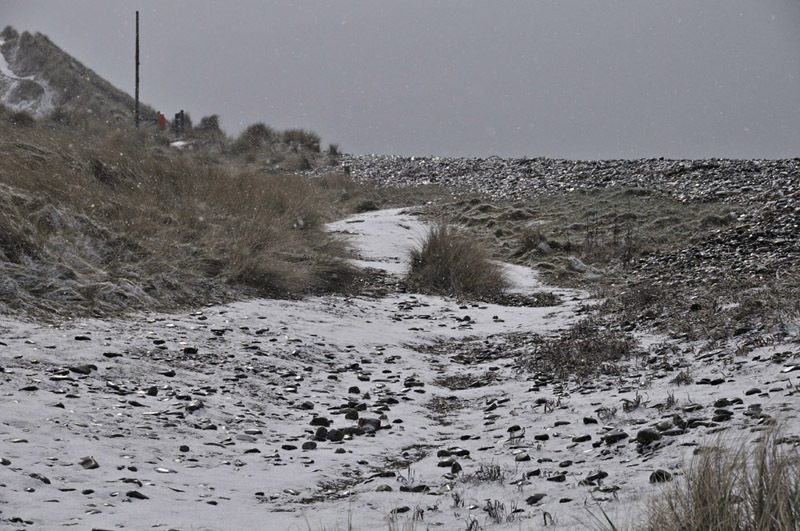 We sea-anglers don't really like easterlies as they do tend to kill off the fishing, but the one on March 3rd was something else altogether, doing fairly major damage all along the coasts of North and West Wales. 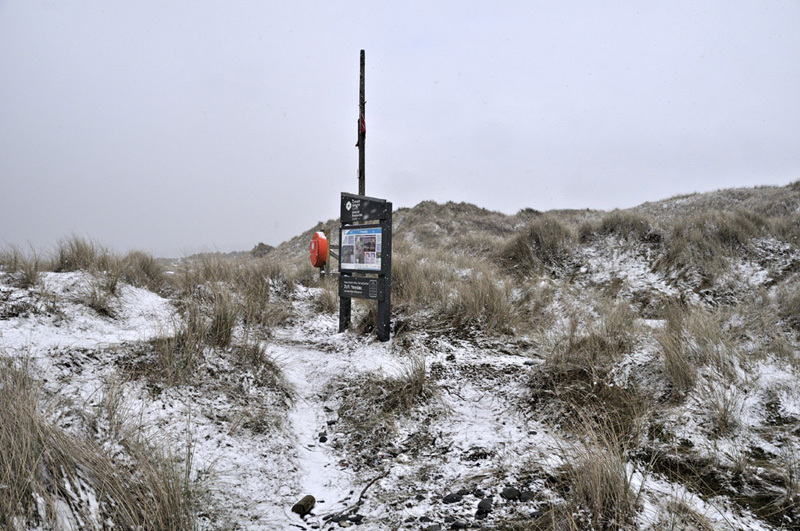 At Ynyslas, an 89 knot (102.5 mph) gust was recorded that morning, which is seriously violent. In Tywyn, just up the coast, people were trapped indoors because of the flying slates and at least one building was unroofed. The same weather wreaked havoc in the Marina at Holyhead, where many boats were damaged or destryoed. These were katabatic winds flowing down the seaward slopes of the hills and the valleys, but I cannot recall anything that strong before, especially at low altitudes. Like many other local anglers I'm itching to get out as the new season is fast approaching. 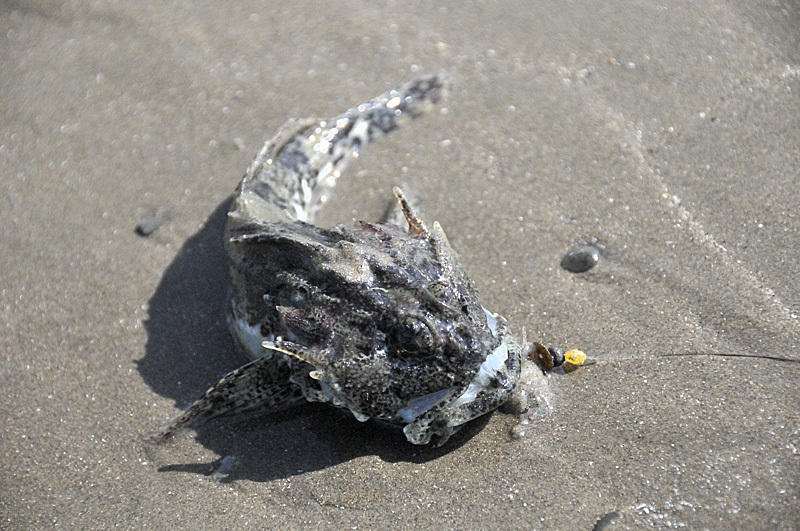 How it begins will depend on temperatures: these need to increase and stay up so that bait-fish and other prey become active rather than lurking in the depths of the sand. 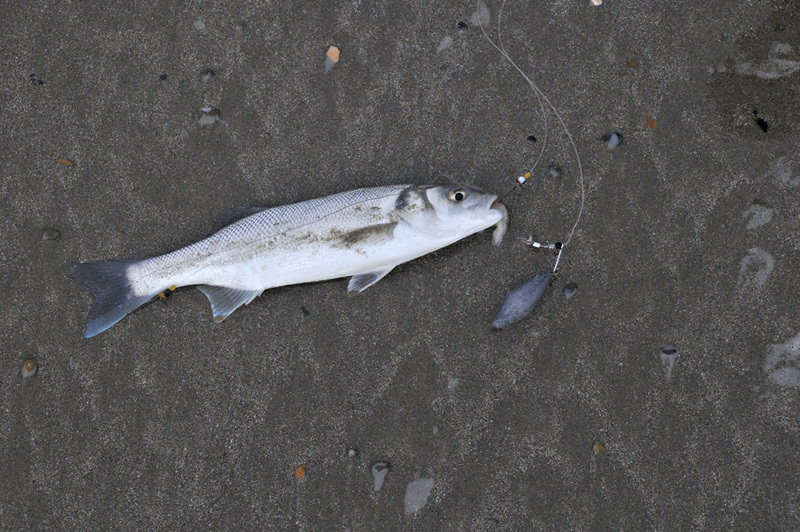 Few reports are coming in and they have involved small whiting and the odd dogfish - late February-March has always been the quietest time of year on the shallow beaches of Cardigan Bay. 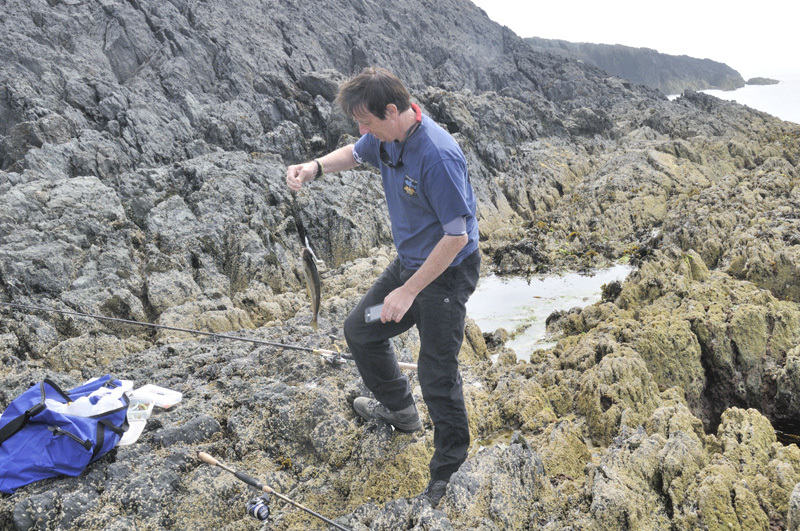 Some better reports are coming in from the much deeper waters off the Anglesey rock-marks - depth shields the ecosystem from the worst of the cold. First to arrive will be the rays and turbot, accompanied by flounders and bass - and dogfish, but we can avoid them by fishing close-in when there's an onshore wind and a nice surf running. I'm looking for a week or so with temperatures +10C and not falling too much overnight, then spring will have officially arrived! So in the meantime it's a case of sorting out rigs, checking through the gear and watching the calendar! Come on, weather-gods!